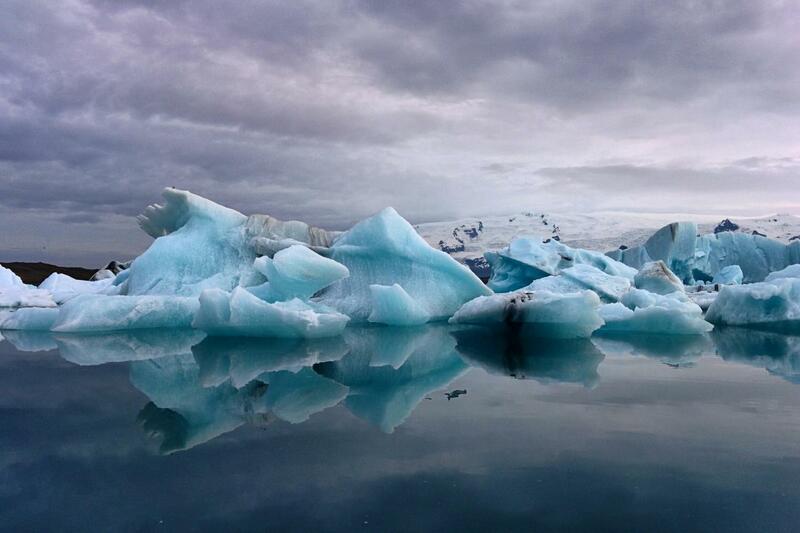 During October - April, Boat Tours are suspended due to high volumes of icebergs in the lagoon. On this tour, you will travel along South Iceland's coast on the narrow strip of lush farmland that cuts between mountains, glaciers and the vast Atlantic Ocean. The route is lined with natural treasures including the iconic Seljalandsfoss and Skógafoss waterfalls, views of Skaftafell National Park, and Vatnajökull glacier to name but a few. Passing the southern edge of the mighty Vatnajökull Glacier roughly midway between Reykjavik and Jökulsárlón Glacier Lagoon, offering magnificent views of glaciers, rivers and endless plains of sand. Vatnajökull Glacier National Park stretches over an area of 14.000 square km, or roughly 10 times the size of London. When you think nothing can beat the scenery, Jökulsárlón glacier lagoon opens up before your eyes and takes your breath away. Packed with icebergs in various shades of white and blue the lagoon‘s extraordinary scenery is popular with travelers, photographers, and filmmakers from all over the world. Specialized amphibious vehicles take visitors out onto the lagoon sailing among the enormous chunks of ice. Various bird species can be seen feeding in and around the lagoon and seals are a fairly common sight both at the mouth of the lagoon and at the seaside beach. The South coast trip was wonderful. It was along day but well worth it. Amazing experience, well organized, very well guided, the driver was very good and made me feel safe regardless of the weather conditions. A very long day but well worth it as you see so much. The glacier lagoon and "diamond beach" are stunning.